Our premium quality Float Level Switches are used along with the float level controllers, predominantly in water tanks to ensure that water doesn’t overflow or set an alarm when the water reaches the full mark. As a reputed manufacturer we ensure that we use only proven quality components and material to ensure durability and efficiency. 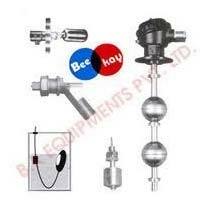 We are also a well-known exporter of these products from Chennai in India.